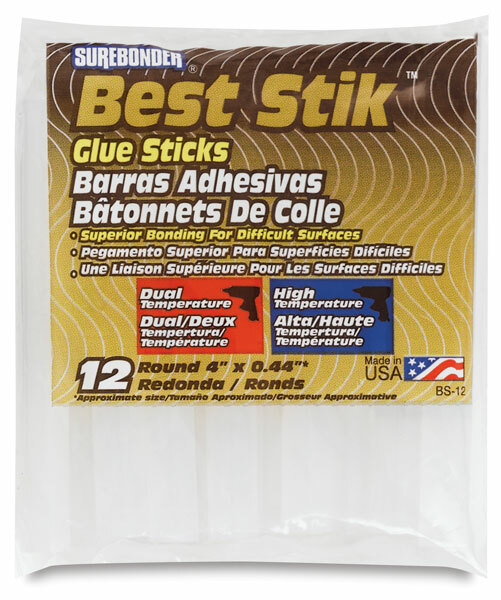 Surebonder Best Stik Glue Sticks are specially formulated to adhere to difficult surfaces. Great for a variety of projects, they are compatible with all standard size glue guns operating at any temperature. 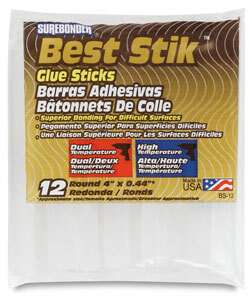 Glue sticks measure 4" long and approximately 7/16" in diameter (10 cm × 1 cm). ® Surebonder is a registered trademark of FPC Corporation.™ Best Stik is a trademark.